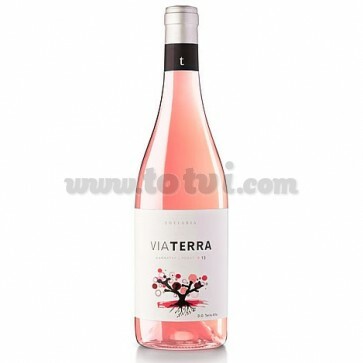 Via Terra Rose is a young varietal rosé wine, 100% Grenache Peluda. Fruity and floral aromas while in the mouth we find a wide, powerful, fresh and sweet wine with a long finish. Via Terra Rosado is a young varietal rosé wine, 100% Grenache Peluda. Intense and bright raspberry pink color. Fruity and floral aromas where we find red fruit, wild fruits, wild strawberries, roses and violets. The palate is a broad, powerful, fresh and sweet wine with a long finish. Controlled fermentation at 25ºC and maceration with the skins of 8 hours. Ideal to accompany pasta dishes, rice and risotto, vegetables, grilled vegetables, white meats, poultry and white fish.